Looking for a way to heal a broken heart? 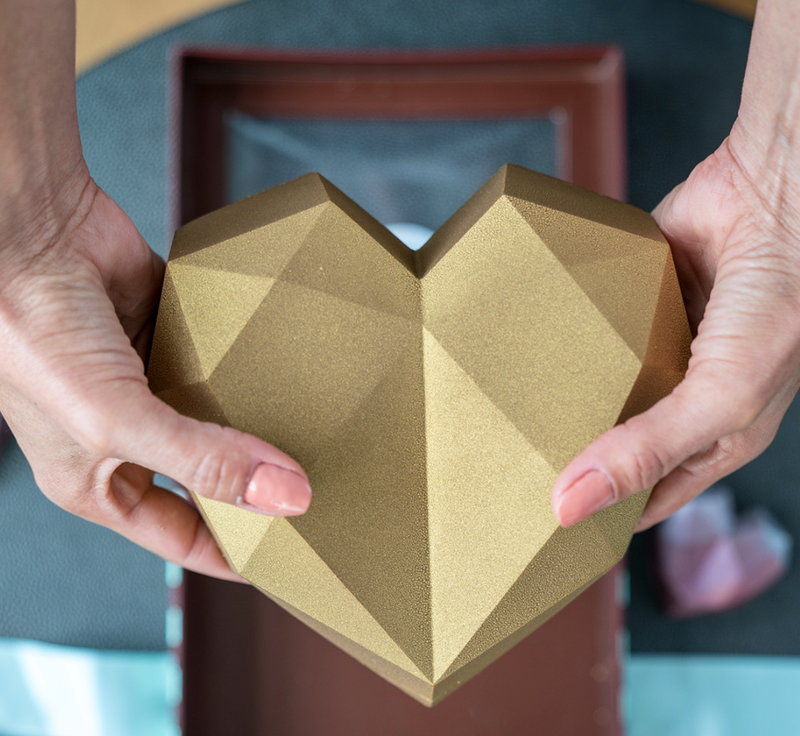 Try cracking open a treat unlike anything you’ve ever tasted before: Sweet Corner Bakeshop’s $45 gold-painted Nutella heart. The West Village bakery makes tons of delicious treats including sea salt chocolate chip cookies (some say they are the best in the world! ), butterscotch oatmeal cookies, red velvet Nutella bomb cookies, and cheesecake chocolate chip bomb cookies. But their “bonbon,” composed of a semi-sweet chocolate shell and dusted with edible glitter, is by far the most innovative. The dessert has become a social media sensation, making Instagrammers drool whenever they see videos of “the satisfying crack,” revealing a stretch of two pounds of Nutella. Although it’s much easier (and more affordable!) to get a $6 jar of Nutella at your local grocery store, wouldn’t you rather wait on line so you can take the perfect slow-mo video cracking the treat open for your social media? Yeah...that’s what I thought.